As an early career RN, you will, or have been, asked to serve as the Charge Nurse on your unit. Even if your manager has prepared you for this step, you may find yourself asking, "How do I make this work for me, the other people I am working with, and my patients?" This program will help you learn to take charge more confidently - and that will make a significant difference to you, your coworkers, and your patients. Allison Squires, PhD, RN, FAAN, has been selected as the National Academy of Medicine Distinguished Nurse Scholar-in-Residence for the Future of Nursing 2020-2030 Study. The National Academy of Medicine (NAM) Distinguished Nurse Scholar-in-Residence, supported for nearly 30 years by the American Academy of Nursing (Academy), the American Nurses Association (ANA), and the American Nurses Foundation (Foundation), is a year-long opportunity for a fellow of the Academy to engage with nurse leaders and other scholars at NAM while helping to develop health policy at the federal level. The review committee responsible for selecting this year's Distinguished Nurse Scholar-in-Residence included President Karen Cox, PhD, RN, FACHE, FAAN and past-President Bobbie Berkowitz, PhD, RN, NEA-BC, FAAN of the Academy; President Ernest Grant, PhD, RN, FAAN and past-President Pam Cipriano, PhD, RN, NEA-BC, FAAN of ANA; Executive Director Kate Judge and Board of Trustees Chair Tim Porter-O'Grady, DM, EdD, ScD(h), APRN, FAAN, FACCWS of the Foundation; Director of Health Policy Fellowships and Leadership Programs Gregg Marolis, PhD of the NAM; and Senior Advisor for Nursing Susan Hassmiller, PhD, RN, FAAN of the Robert Wood Johnson Foundation (RWJF). The review committee selected Dr. Squires for her strong policy background as well as her stated focus to examine and address sustainability of the workforce from the perspective of integrating social determinants of health. "Collaboration with the National Academy of Medicine, especially in regard to selecting a Distinguished Nurse Scholar-in-Residence role," said Academy President Dr. Cox, "is a time-honored testament to nursing's role in charting a course for improved health outcomes through policy." During her time as the NAM Distinguished Nurse Scholar-in-Residence, Dr. Squires aims to bring her sustainable development perspectives to examine methods of increasing interprofessional collaboration and maximizing the skills of nurses across the spectrum. "I am honored to be selected for this opportunity to represent the American Academy of Nursing, the American Nurses Association, and the American Nurses Foundation while undertaking this important work at the National Academy of Medicine, in collaboration with the Robert Wood Johnson Foundation," said Dr. Squires. "This is an excellent chance for me to utilize my international focus to advance NAM's research on health equity and the sustainability of our nation's nursing workforce." In 2009, RWJF partnered with the Institute of Medicine (currently NAM) to produce the original, Future of Nursing: Leading Change, Advancing Health, which set a vision for nursing's role in 2020. RWJF will again partner with NAM to undertake the Future of Nursing 2020-2030 study, which will evaluate current and emerging trends within the health and nursing fields to create a framework for reducing health disparities, improving the health and well-being of the population, and creating a culture of health throughout the nation. "The Future of Nursing 2020-2030 study comes at a critical time," said ANA President Dr. Grant. "The confluence of an aging workforce, technological advances, and a demand for care in the community means the profession needs an evaluation of our future direction. The study will be vital to determining nursing's course in the coming decades." "Dr. Squires will do tremendous work in her role as Distinguished Nurse Scholar-in-Residence for the National Academy of Medicine," said Foundation Board of Trustees Chair Dr. Porter- O'Grady. "Her unique contributions in policy, research, and community engagement will enable her to advance the important work of the Future of Nursing 2020-2030 study." 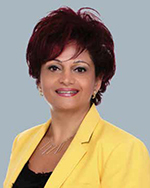 Congratulations to PhD alumna, Dr. Myrna Abi Abdallah-Doumit who was recently elected President of the Order of Nurses in Lebanon (similar to the ANA in the US). The nurses in Lebanon have only one mandatory order called "Order of Nurses in Lebanon." The headquarters is in the capital city of Beirut. The Order gathers all nurses with a degree, and has the right to exercise the nursing profession by an authorization granted by the Ministry of Public Health. 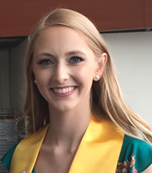 Congratulations to alumna Ella Walsh, BSN (2016) on being one of five inducted into The Carson Scholars Fund Hall of Fame! Individuals are chosen whose lives and careers are an integral part of the Carson Scholar history. These alumni represent CSF's mission and they demonstrate success and excellence in the workforce, have excelled academically and have made significant contributions in their communities.individuals whose lIt honors outstanding Carson Scholar alumni who represent CSF's mission - those who have demonstrated success and excellence in the workforce, who have excelled academically and have made significant contributions in their communities. Ella, a neonatal intensive care nurse at the Children's Hospital of Pittsburgh, is passionate about helping those around her. As a community research assistant, she worked on a research project to better understand the causes of health disparities that young women face in regards to maternal and neonatal health. Ella is most proud of graduating as valedictorian of her nursing class at Duquesne while working as a community research assistant and two part-time jobs. Her story has come full circle: born with a fatal infection, she spent the first days of her life as a patient at the Children's Hospital of Pittsburgh. Ella is honored to share her career of saving the lives of neonates with the same team that saved hers. Due to her compassionate and nurturing personality, Ella says that her spirit animal would be an elephant. Student nursing organizations can request funding from the Alumni Association.